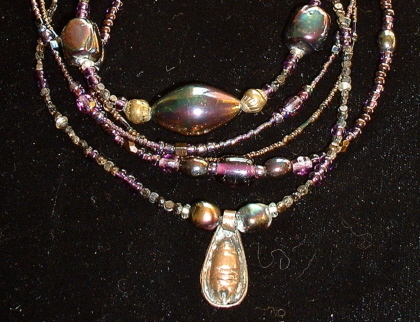 Bonnie Mincu's jewelry are all one-of-a-kind pieces, each designed with a combination of wire, semi-precious stones, and unique custom beads. Click here to see jewelry. Receive previews of my new paintings and jewelry.